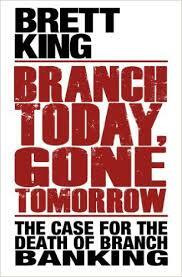 Author, Innovator, Speaker, Founder of Movenbank – Bank 2.0 & Branch Today, Gone Tomorrow. Brett King is an Amazon best-selling author, a well-known industry commentator, a speaker, the host of the BREAKING BANK$ radio show on Voice America (an Internet talk-radio network with over nine million monthly listeners), and the founder of the revolutionary mobile-based banking service Moven. King was voted as American Banker’s Innovator of the Year in 2012, and was nominated by Bank Innovation as one of the Top 10 "coolest brands in banking." Best selling author of the groundbreaking book BANK 2.0, Brett King is the founder of the first direct mobile bank in the US and UK (Movenbank) and a strategic advisor to the world’s leading financial services organizations. He is an International Judge for the GSMA Global Mobile Awards, the Asian Banker Retail Excellence Awards and for the MiddleEast Business Achievement Awards. King also a runs a niche strategic advisory firm, User Strategy and is a Board Advisor at Geezeo, a leading software services provider for banks and credit unions. He also advises IAFM, the International Academy of Financial Management™ (previously known as the American Academy of Financial Management). As one of the founders of IAFM, one of the world’s fastest growing professional associations with more than 200,000 members, associates and affiliates in 145 countries,King was instrumental in the development of the worldwide certification training provided by IAFM. Brett King is a four times bestselling author, a renowned futurist and keynote speaker, the host of the "BREAKING BANK$" Radio Show on WVNJ 1160 and globally via VoiceAmerica (an Internet Talk Radio Network with over 9 million monthly listeners) and the founder of the fintech start-up known as "Moven". Moven raised $8m this July in a Series A investment round to power it's growth offshore, with it's concept of a downloadable bank account that incorporates mobile payments and banking capability, along with a gamification based money management system. King was voted as American Banker's Innovator of the Year in 2012, and was nominated by Bank Innovation as one of the Top 10 "coolest brands in banking". 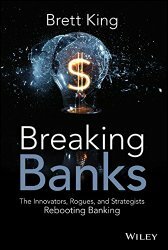 His latest book Breaking Banks debuted in the top 3 on Amazon's Bestseller's list in the US, France, Canada ,Germany and Australia, and features interviews with 30 of the top innovators and disruptors in the financial services industry today. BANK 3.0 his previous book was released in 8 languages and ranked as a finance bestseller in 19 countries. Based on his best selling book BANK 2.0, Brett King's presentations entertain and educate audiences on how consumer behavior and technology are changing the way we do banking and how significant changes in the future will change your view of customer interactions forever. Brett King has appeared on Bloomberg TV, CNBC, been featured in the Financial Times, Washington Post, and has spoken at events for Google, Oracle, plus some of the world’s biggest banks and corporations - explaining "The Big Shift." In this new topic for 2012, Brett explores the end-game in the emergence of the mobile wallet and what it means for the humble bank account. With more than 60% of the world’s population without a bank account, with the ubiquitous nature of mobile phone handsets and the increasingly pervasive pre-paid ‘value store’, will you need a bank at all in the future? When you can get your salary paid directly onto your phone, when your iTunes account doubles as a prepaid debit card and when you can use Facebook to send money – will banks still be able to compete? Movenbank is a revolutionary new bank that will launch in 2012. This is the story of how Movenbank will revolutionize retail banking on multiple fronts. Brett King tells the story of why Movenbank decided on a card-less, paper-less, transparent model of banking and how the CREDSCORE™ engagement model is going to change the way we think about engagement, value and lending in the banking arena. If Movenbank achieves what it is aiming for, it will change the way people think about banking forever. "Brett understands the threats facing banks today and offers a clear message on what is needed to be competitive and relevant in the future. Great speaker who is truly 'bringing Awesomeness to Banking!'" "The examples King brought into the room were captivating. His perspective on the importance of customer behavior, in particular choice and the control customers want around how they interact, is critical. Financial institutions can not dictate how customers should connect with us. Organizations must instead listen and adapt to customer behavior." "Brett delivered extraordinary insights to Google’s clients and partners in his BIG SHIFT presentation. At Google we are used to some big ideas and even bigger names, but Brett delivered a unique view that was truly surprising." "Brett King presents a formidable challenge for banks to change their way of thinking underpinned by hard facts and powerful arguments. The call for action is indisputable." "We truly appreciate your insights about the bank and customers of today and the future…their changing behavior and lifestyles, their attitudes towards new technologies, and their role in changing the future of financial services. It was indeed an honor and a rare privilege to have you as our guest speaker gracing our 20th Anniversary event." "Brett delivered a Master class for our board, executive and senior management. He accomplished more in opening our eyes to the opportunities in multi-channel, social media, mobile engagement and customer experience than I would have ever thought possible in such a short space of time. We are still riding on the buzz from his BANK 2.0 session weeks later. He delivered an extraordinarily insightful session for our team…Truly enthralling!"